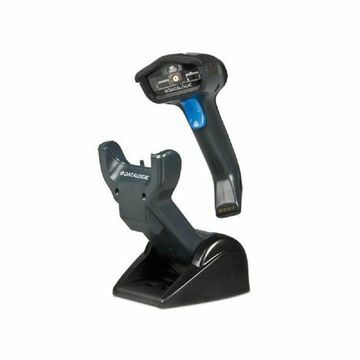 Because of its versatility and durability, the Gryphon GM4100 cordless linear imaging readers are the ultimate solution for applications in retail and light industrial environments where mobility is required for improved productivity. Featuring the Datalogic STAR Cordless System, the most reliable radio in the market, the Gryphon GM4100 imager provides full flexibility in the workplace, providing scalable solutions from simple point-to-point to point-to-multipoint applications and eliminates the restraints caused by cabled devices. An optional display with a 3-button keypad provides battery status, radio coverage indicator and enables operator interaction with the host system.